I just got a malware warning from visiting the "Roger dollar" thread in the Silver Forum. I really like the site and amm keen to play a part in it but am foiled most days by not being able to post. Instead I get a message to say a moderator will check my post before it will be visible. Fine but that never happens and the post is lost forever - annoying after a lot of typing. Other days my post will go straight on the thread no problems. I suspect it might be to do with my ISP giving me a new dynamic ip address every time I connect - maybe your site then assumes I am a new poster or something and blocks me. Is this something you are able to change? 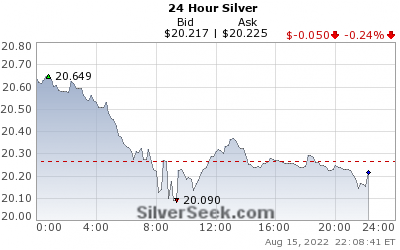 Webmaster, I posted a thread on Sunday entitled "The re-monetisation of silver". It stayed up for a few hours and got two responses. Then it disappeared from the site and all records. What happeneed? Is your system compromised? I have re-posted a similar thread and this is still up and running OK but it is NOT the original. I have had no communication from you as to what is going on!